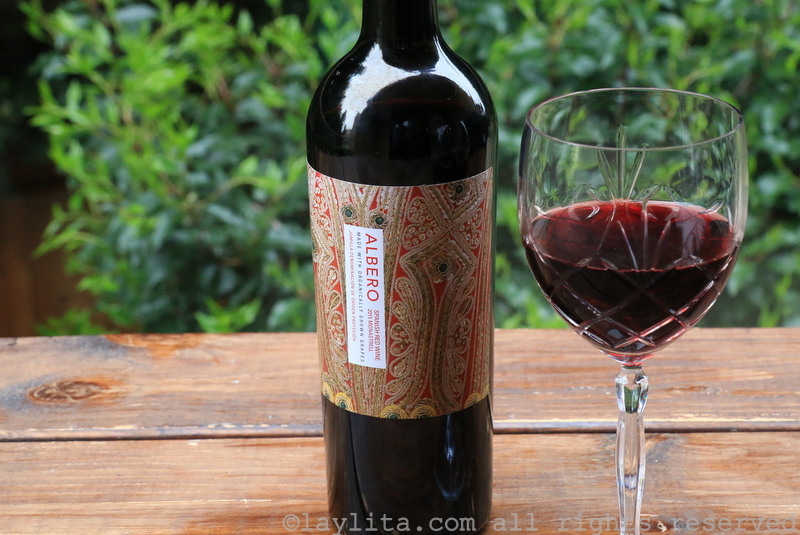 Albero Monastrell Spanish Red Wine Review – Laylita.com - Recipes. Recetas. Food. Comida. Travel. Viajes. Since we don’t usually buy bottles that cheap unless it’s for cooking (even then, you might drink some of the wine so might as well spend a little more on something drinkable), I told her that for $2 more she could get this bottle, and she should. So we go to the aisle, I show her this Albero bottle and tell her I bought it many times and can recommend it. “Can’t we find something for $5 instead?“, she insisted. No, sorry, I really don’t know. So she put it in the cart, as well as a white, also $1 higher than her price point, for the same reason. Hopefully we didn’t break the bank with these extravagant purchases, but I think she had a good time drinking these wines once she got home. This bottle and the design have been around for several years now. Some wine labels and brands come and go, and this one has been at Trader Joe’s since I can remember. 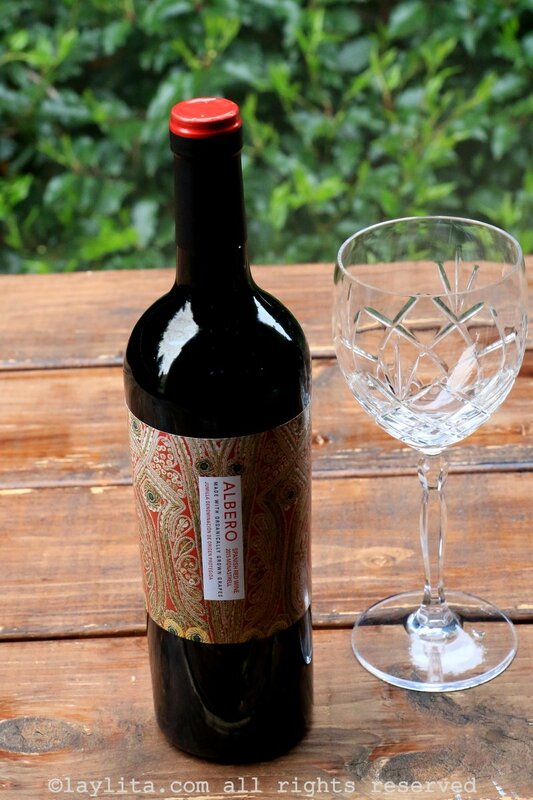 The label colorfully and tastefully designed with accents of red, black and darker colors. Another distinct feature of this bottle is that is made of organically grown grapes. There is debate, in the world of wines, whether organic processes are better than non organic ones, as wine growers always need to treat the vines even if with naturally occurring products. But you’re into organic, this wine is an option. 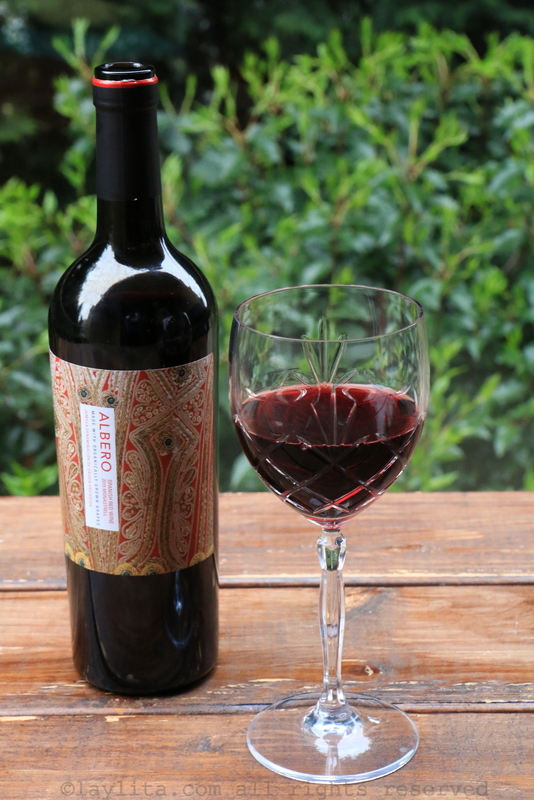 This is a Monastrell, the Spanish equivalent to Mourvèdre grapes, and the specific bottle we tasted for this post is from 2015. The flavors are that of a relatively young, strong red wine. If you drink it without food you may find a bit of bitterness and excess strength, as is the case for many Cabernet Sauvignon, or wines from Spain. But coupled with food it becomes more drinkable and actually goes quite well with meats, chocolates and other foods that tend to accompany red wines. You may want to decant the wine if you keep it more than 2 years, but wines like this may not be made to be stored for several years. So, it’s best to drink it within a few months to a year after purchasing it. There are some smoother Spanish wines out there, some we’ll review soon, but tend to cost twice the price of this bottle, which is still quite affordable for a step up in quality. But like the lady from the story, if you’re looking for a nice red at a price point and you like wines from Spain this bottle should be on your list. 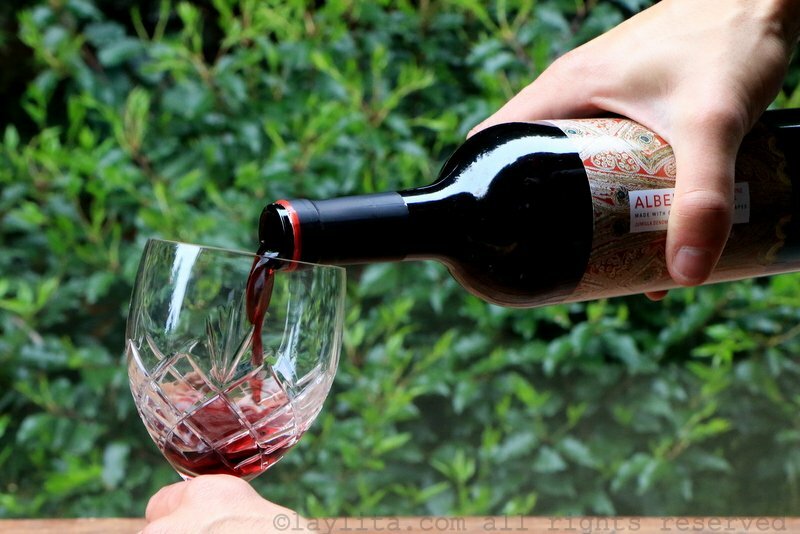 Our review of the Albero Monastrell Spanish Red Wine. This is a great value that happens to be made with organically grown grapes.